Penetration testing has become an integral part of an organization’s security strategy in the last few years. It assists an organization in discovering existing vulnerabilities, loopholes, and weaknesses in the existing infrastructure. It is always recommended that penetration tests should be conducted at regular intervals to minimize the chances of a security incident. Considering the highly dynamic nature of threats in ever-evolving cyber space, many organizations find it difficult to have appropriate subject-matter experts onboard. Or at times, organizations take a proactive approach and hire a service provider to conduct an external penetration test after an internal security team has already conducted a penetration test. The primary goal of penetration testing is to simulate a real-life attack on an organization and hence, an external service provider with no or minimal knowledge about the internal infrastructure of an organization is often considered a better option than a penetration test conducted by an internal team. 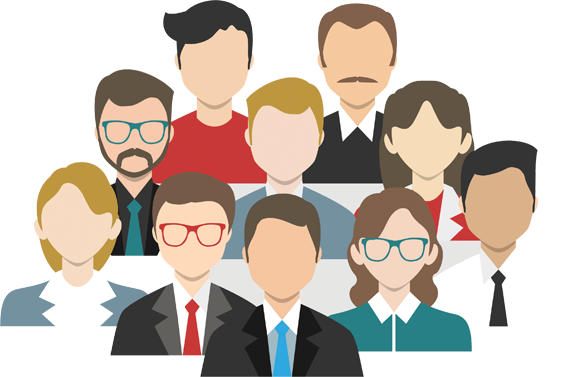 However, at the same time, the importance of an internal team cannot be looked down. Penetration testing on cloud platforms such as Google Cloud, AWS, etc. Penetration testing for compliance of regulations/standards like GDPR, PCI DSS, HIPAA, etc. Depending upon organizational requirements and services provided by a service provider, an organization can select one or multiple services to ensure that all the ends are covered. 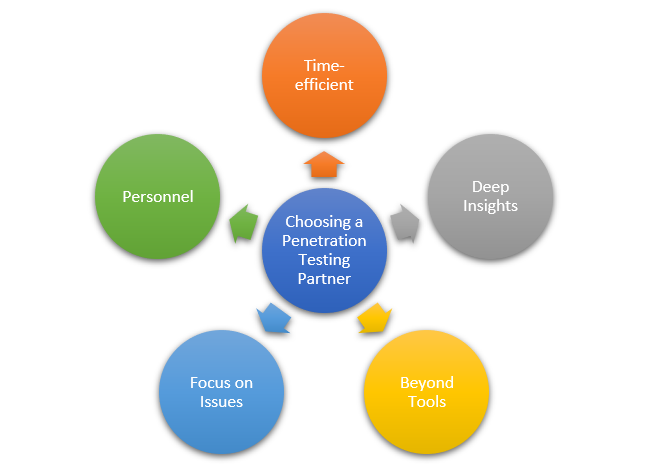 When it comes to an organization’s security, the decision-makers often face the dilemma of selecting a penetration testing service provider, or as we call it – penetration testing partner. We have listed some of the important parameters that will assist in the decision-making process. Time-efficient: An ideal penetration testing provider should complete the assessments on mutually agreed deadlines while properly prioritizing testing activities for critical systems of an organization. Deep Insights: After conducting penetration tests, a service provider should deliver valuable, detailed, and actionable insights into vulnerabilities identified, possible attack vectors, potential business impact, and mitigation steps. Beyond Tools: Using automated tools for conducting penetration tests is simply the tip of the iceberg. A service provider should be able to manually explore through your technical infrastructure for providing you in-depth knowledge of how compromises may occur. Focus on Issues: A service provider must run tests in the context of your organizational environment. Every organization has its own set of security issues that it deals with on a regular basis. With a service provider having experienced testers, comprehensive reports are delivered which focusses on the issues relevant to your organization. Personnel: The team members of a service provider must have established themselves as industry leaders or subject-matter experts with an extensive background in attack techniques and security research. You must check their work experience, certifications, review from previous clients, goodwill in the industry among the other things. We follow a systematic yet flexible approach to address the issues faced by an organization so that its requirements are duly fulfilled. Starting with the assets critical for an organization’s operations, we cover the entire technical environment of a client while at the same time, ensuring that the business operations are not disrupted. Our security testing services extend to cloud-based applications, DevOps, and SaaS. We follow a mixed approach by utilizing AI-powered automated tools as well as manual testing techniques. If you are looking to conduct a penetration test for your business, feel free to get in touch with us – we respond the same business day.